Our guide to what you should check your car for before you set off. When heading out on a lengthy journey, it’s important to be sure that your vehicle is up to scratch. Just one problem can spell disaster for your journey, often causing hours of hassle and lost time. However, there are a number of things you can double-check before you head out which can ultimately save you both time and money. Here’s our guide to the essential vehicle checks you should carry out before you hit the road. Whilst checking the tyres may seem obvious, this is one of the most overlooked aspects of motoring for some drivers. How strong your tyres are can make or break a journey, with punctures and other issues becoming more likely the more worn your tyres are. When checking tyres, you have 3 main priorities. The first and arguably most important is the tyre pressure. This is something you should check regularly with a good-quality pressure gauge, as too little or too much pressure could cause a problem when driving. Checking the tread is also very important as too little tread will decrease grip on the road. If the tread is below a certain point, consider investing in new tyres or getting them checked out. General condition is also vital, so check for any cuts or scratches on the tyre itself. Lastly, make sure you have a spare wheel with you that you know is reliable. It’s no use having a spare tyre that’s not fit to drive with. Engine oil is another vital part of car maintenance. Check the dipstick every few weeks or before any long journey to make sure your oil levels are not too low. It’s also recommended to change your oil every once in awhile (usually when your car is serviced) to ensure your engine works properly. 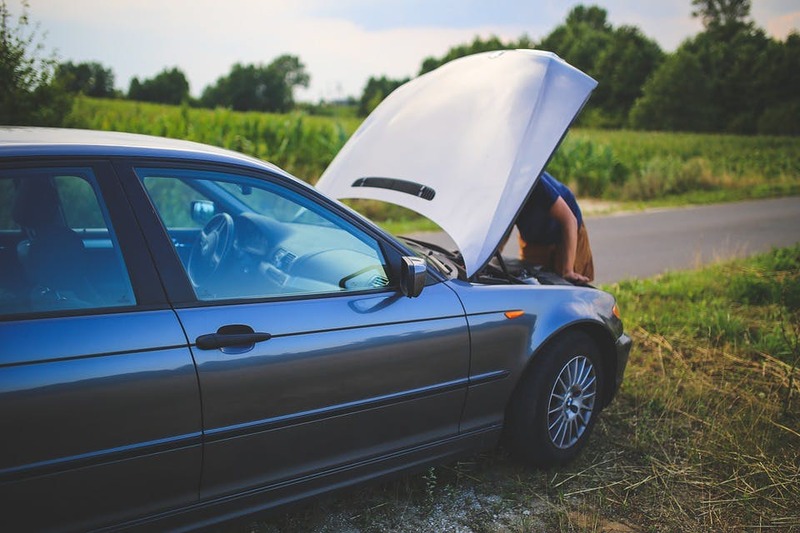 If you’re frequently finding yourself low on oil, this may indicate engine problems. The windscreen should be one of your priorities, as any damage can impair vision making it harder to drive safely. Small stones can often damage your windscreen by causing chips. Whilst this might seem like minor damage, a chip can often turn into a full-blown crack if not quickly dealt with. Chips can be easily fixed by specialists or even DIY kits, so there’s no excuse not to sort them out. If the windscreen damage is more severe, this should be immediately fixed at a service garage before you attempt a journey, as a damaged windscreen can be dangerous and is illegal to drive with. If wipers are left too long without being replaced, they can easily wear down and become less effective when driving in the rain. Car owners should consider replacing windscreen wipers every year or so to keep them at peak performance. Blunt wipers will smear the windscreen instead of wiping water away, causing vision problems when driving in bad weather. Screenwash is another important part of proper vision when driving. If your windscreen becomes dirty or difficult to see through when driving and your reservoir is not topped up, collisions or other incidents can easily occur. In order to prevent this happening, check your screenwash reservoir regularly to make sure it isn’t too low and top up when necessary. It’s recommended that you keep a bottle of screenwash in your car at all times, in case you need a top up on the go. Keeping your screenwash topped up and the system working is a legal requirement. Water is a vital part of the engine that is sometimes overlooked in favour of oil and petrol. Keeping the coolant level topped up is important when going on a long journey, as having it low can often cause breakdowns. Check the water level when the engine is cold and top up when it’s needed. Like screenwash, it’s recommended that you keep a bottle of water in your car at all times in case of emergencies. Perhaps the most obvious part of car maintenance is petrol. Keeping your car fuelled might be something you think you won’t forget but a surprising amount of people are left high and dry at the side of the road. If you’re going on a long journey and are unsure where petrol stations are, make sure you fill up before you leave. Never leave your petrol level to chance, or you might end up on the side of the road, miles from a petrol station. Checking lights on your car is important because of the sheer amount of lighting your vehicle requires. Brake lights, indicators and fog lights all need constant checks in order to ensure they’re working properly, as all are vital when driving. If one of these isn’t working you can often replace it yourself by purchasing the bulb or take the vehicle to a garage to get it replaced for you. When driving in snow or ice, remember to clear your fog lights of anything that could be blocking the light. This could mean scraping ice away when de-icing the rest of the car or wiping away mud after driving in bad weather.